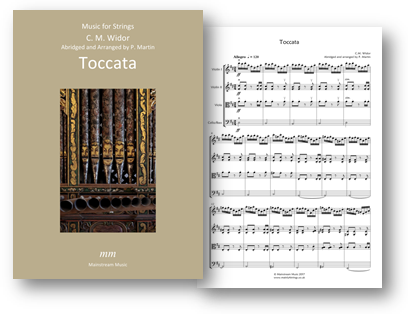 The much celebrated Toccata from Widor’s 5th Organ Symphony, abridged and arranged for string orchestra/quartet. The PDF contains separate parts for violin III (doubling that of the viola) and double bass. Click here to listen to a recording of the piece.